WERA 05020091001 - Set of Joker ratcheting combination wrenches Switch 11 pcs. 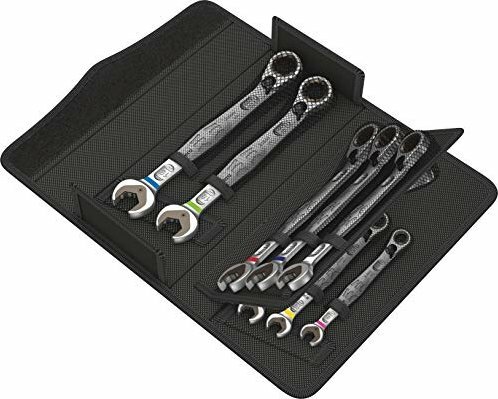 Wera Joker mouth-ratchet wrench set, 11-piece. Gedore red R01105008 double ring spanner set, 8-piece. Gedore red R09105112 ring-combination wrench set, 12-piece. Gedore red R09105024 ring-combination wrench set, 24-piece. Wera Joker mouth-ratchet wrench set, 6-piece. KS Tools SCS Schraubenschlüsselsatz, 41-piece.